The main objective of writing this book is to bring awareness among people about the Physical Fitness and Good Health. Running has been the most popular mass participation sports all over the World during last three decades. Millions of people are running all over the World to maintain good health and enjoy life. 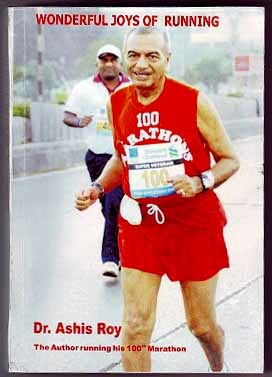 The Author himself started running Marathon at the age of 52 years and he is still running after the age of 80 years. He has studied in detail about the benefits of running from his personal experience as a Physician Cardiologist. At the beginning of the book he has described his own experience of running during his student days and then again after a gap of 25 years. He has described in detail each marathon he has run and the pain and pleasure he felt during running his eighty marathons all over the World. This part covers first half of the book. In the second part of the book the scientific facts of Exercise and Running and its benefits have been enumerated in detail. In the third part of the book the Author has advised in detail how to start running and how to improve and avoid injuries. Here he has grouped people in three groups according to ages and training methods of each group has been dealt in detail. In the fourth part of the book, the Author has described the memorable moments of his running life and the History of Marathon running. At the concluding chapter the honors and awards received by the Author has been mentioned. The Book consists of 300 pages and contains fifty pictures and illustrations. 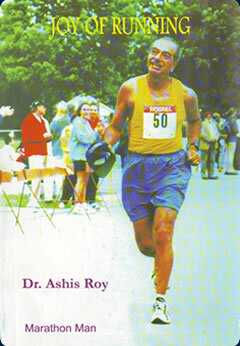 Dr. Ashis Roy, presently 82 years old, who is the only Indian to have run more than 100 Marathons among Indians has written his second book named “Wonderful Joys of Running”. The book contains detail description of running record breaking marathons after the age of 55years .He has given detail account of his suffering from Spinal Injury after 113 marathons in 2011 and thereafter undergoing four hours long Spinal Surgery and how he has fought back from paralysis of right lower limb and again running two full marathons and many half marathons. The Book also contains latest scientific facts about benefits of running on health and details instructions about training to run marathons for all ages.